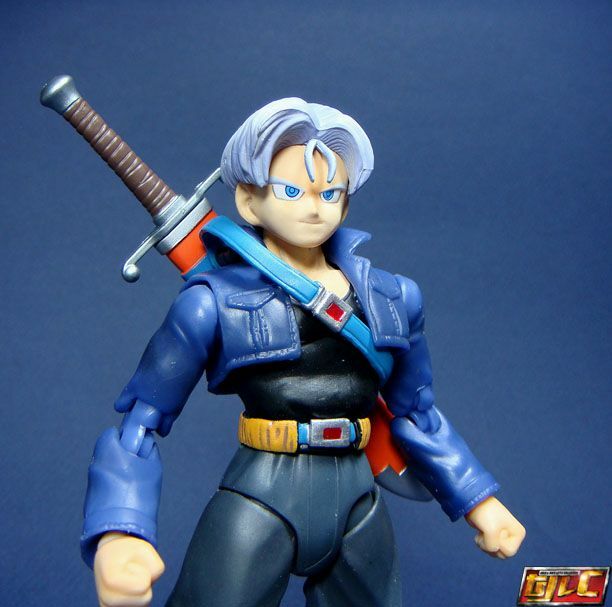 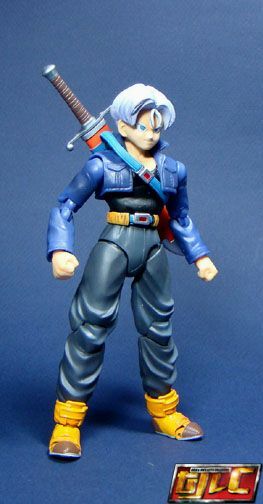 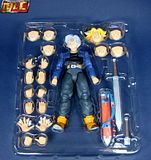 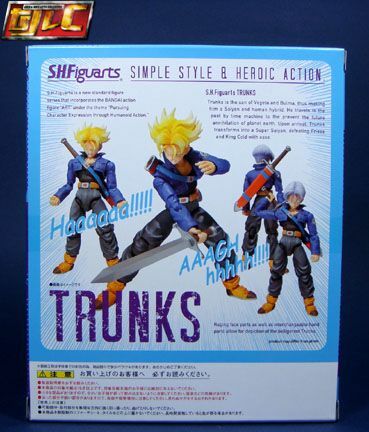 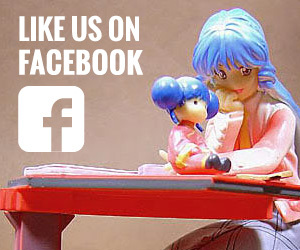 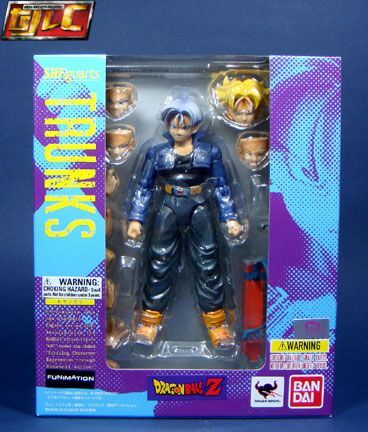 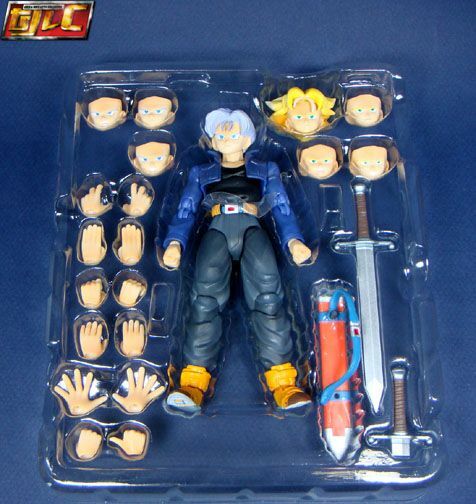 Trunks is Vegeta and Bulma’s son from the Future. 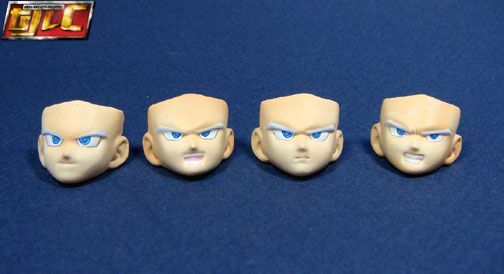 He comes with 2 sets of faces, for the Super Saiyan and base form look. 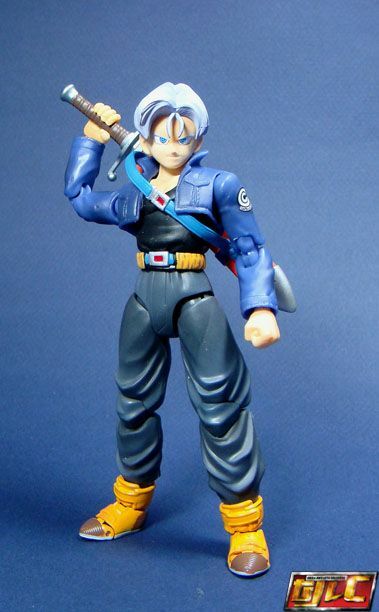 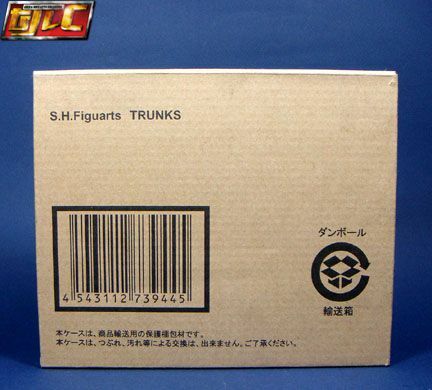 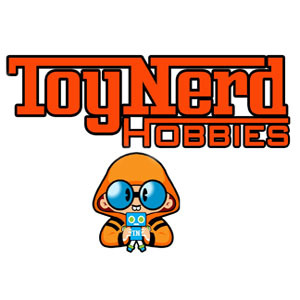 Trunk’s sword is a gift from an alien being (Tapion, in the Wrath of the Dragon movie). 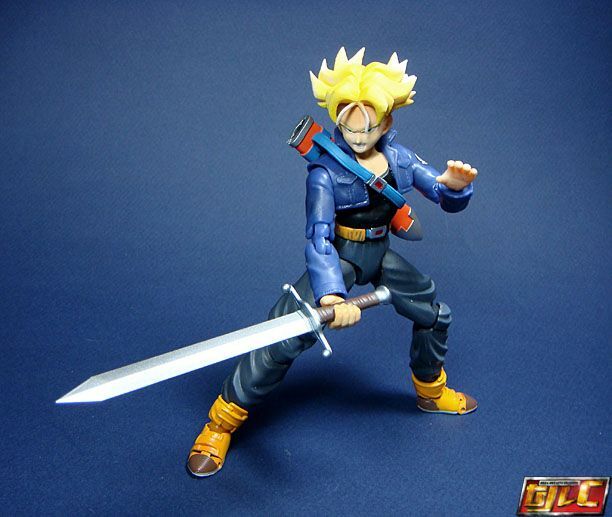 Bandai included a broken sword with the set, it’s the broken sword that fits into the scabbard. 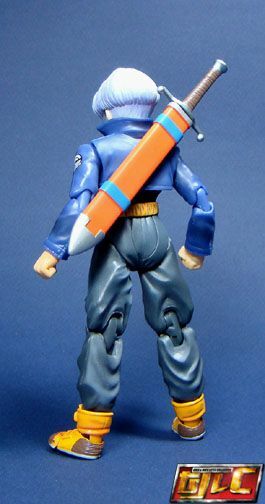 The full sword cannot fit in the scabbard. 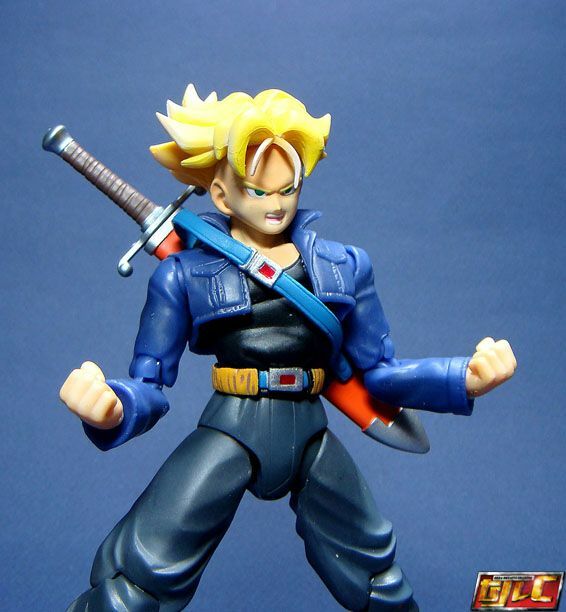 The sword was last seen in the movies, when Android 13 broke it, it was later shown shortly in the Bojack Unbound movie, guess it was repaired at some point. 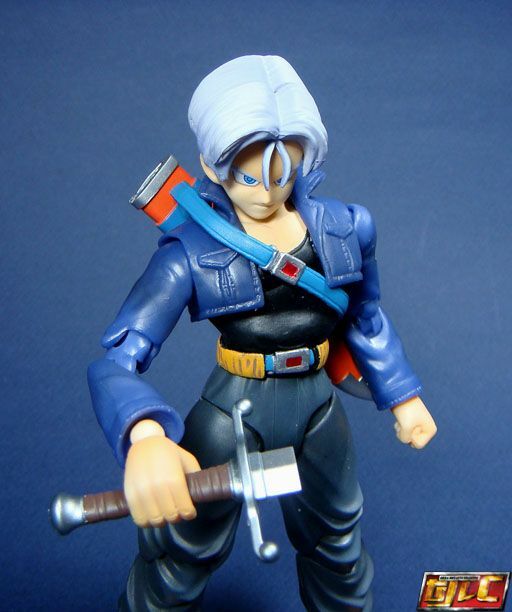 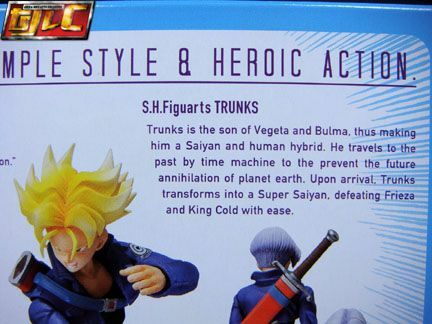 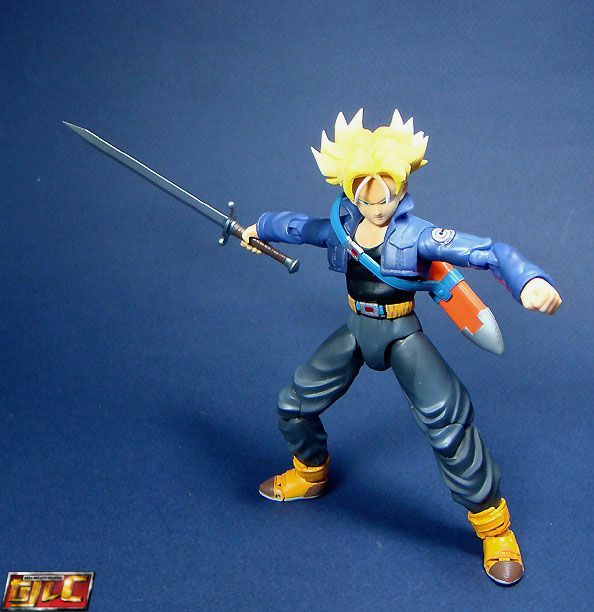 The sword made its popular debut when Trunks first appeared and made short work of cyborg Freeza by turning him into “cold cuts”. 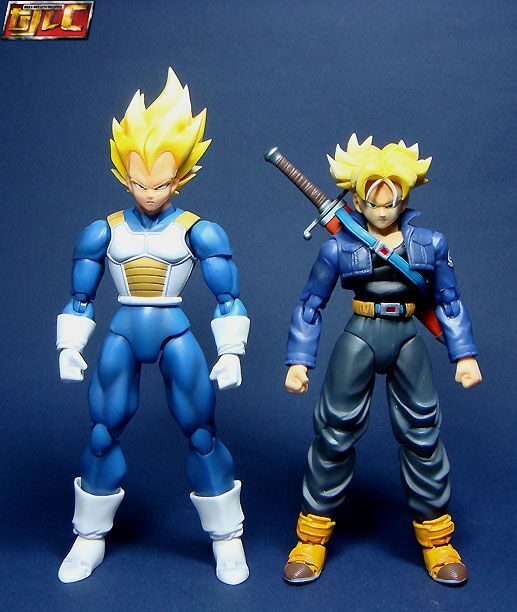 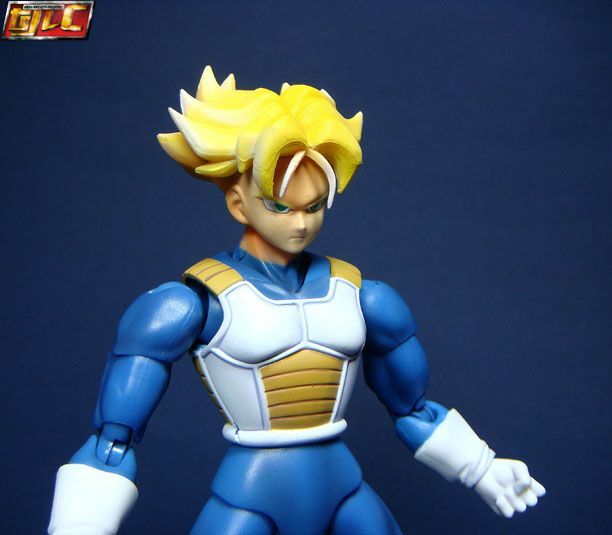 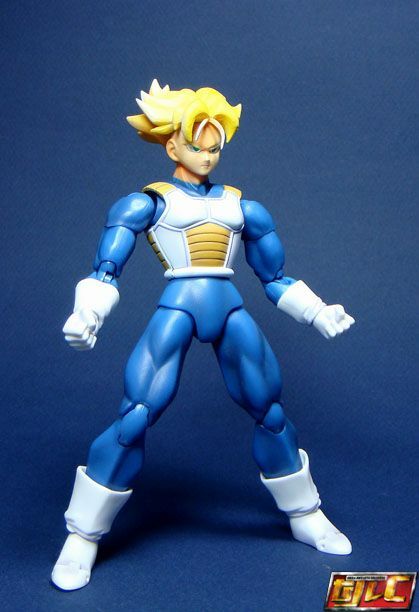 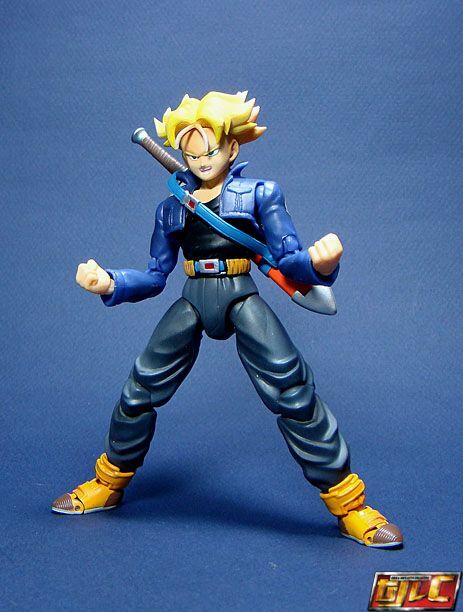 You can also do a quick headswap and put Trunk’s head on Vegeta’s body to simulate his look for when he returned to the future at the end of Cell Saga.